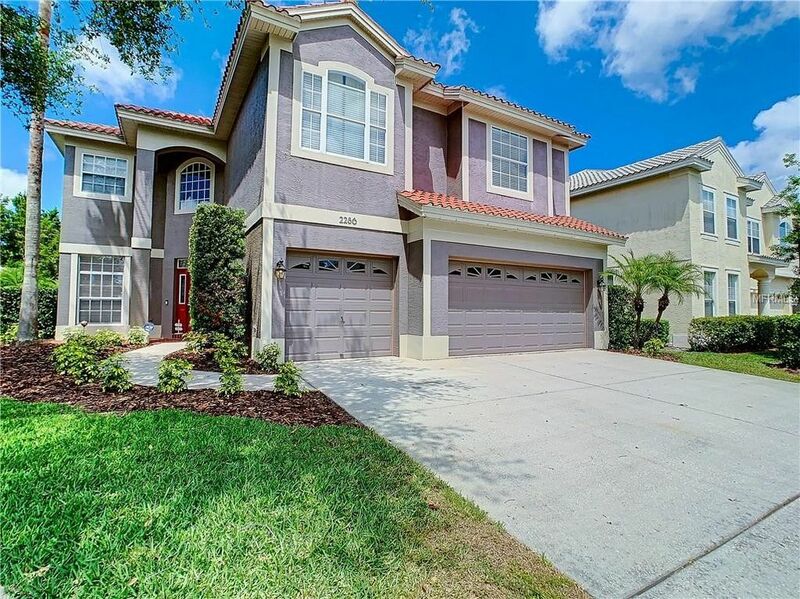 Coveted Dunedin family home in the upscale gated subdivision of Highland Woods. Gorgeous finishes include cherry cabinets, granite counters, engineered cherry wood floors and barrel tile roof. The gourmet kitchen is open to the family room. Windows across the back of the home face the lanai and screen-enclosed, heated pool and spill-over spa. There are too many feature to list. Make your viewing appointment today. Check out the 3-D virtual tour link to get a preview of what is in store for you. There is one bedroom and a pool bath on the ground floor. Upstairs you will find a HUGE master bedroom, three additional bedrooms and a very large BONUS ROOM. The over-sized master bedroom has room for a seating area and an equally spacious en-suite bathroom that you will love. The master closet has a custom storage system. Vinyl fenced back yard, Aqua-Link remote pool/spa controls, security system, garage storage lofts, inside utility, large pantry, surround sound are just some of the nice features. A one year warranty is included for your peace of mind. Act fast on this one. Room sizes rounded to the nearest foot. Buyer to verify exact measurements. Directions: Belcher Road just south of Curlew Road into north gated entrance of Highland Woods. Once through the gate turn right and follow the road around to the address. A gate code is necessary and will be provided with your confirmed appointment.